Disney has reimagined many of their animated classics into live action features in the past two decades, from 101 Dalmatians to Alice in Wonderland, yet recently, with the evolution of special effects and popularity of blockbuster cinema, it's becoming far more common than ever before - introducing a wave of new audiences to these classic tales whilst still, for the most part, keeping ahold of their core charm. This is where, in almost every possible way, this year's The Jungle Book succeeds without a doubt. Staying true to the original Disney narrative, The Jungle Book features young man cub Mowgli (Neel Sethi) adopted by a pack of wolves, having been abandoned in the jungle many years ago, and raised over time by with the help of black panther Bagheera (Ben Kingsley). 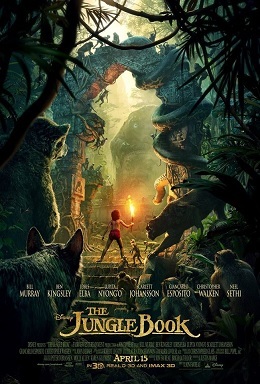 However, when the vicious tiger Shere Kahn (Idris Elba) learns of Mowgli's presence, he vows to kill him at any cost, leaving Mowgli with no choice but to be taken back to his own kind in the man village; along the way, he finds himself on an epic journey throughout the jungle, encountering a number of new friends and foes including, most notably, beloved sloth bear Baloo (Bill Murray), who forms a close bond with the man cub as their paths eventually cross. The most amazing thing about The Jungle Book is that, as many know, none of it was filmed on location - all filming took place on sound stages both in the USA and UK, with live action sets and actors seamlessly blended with computer generated backdrops and characters in post production. Disney's latest live action remake sets new standards for computer graphics in modern cinema - from start to finish, the animation, texture, and overall rendering on every character is absolutely stunning; it pretty much feels like you're watching real animals perform all these bizarre humanoid actions, which is a testament to how far special effects have come in the past decade. The backdrops beautifully capture the tone of each scene, from lush jungle forests to large open cliffs; again, the fact that none of this was filmed on location is almost difficult to comprehend when you see how mind bogglingly authentic it looks. 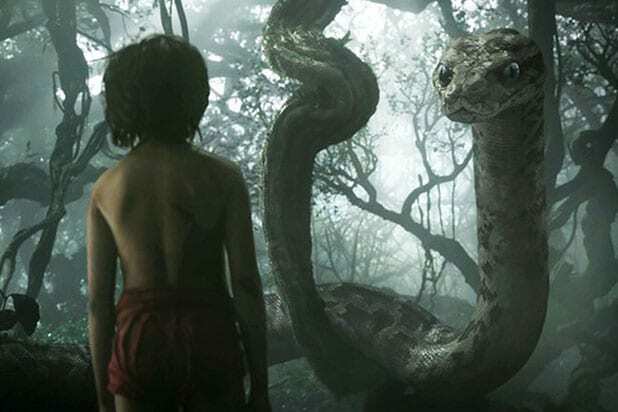 Neel Sethi gives a decent performance as Mowgli considering his age and the fact that this is his Hollywood debut, and one has to admire all the physical exertion undertaken for the role and his dedication into a very active performance. 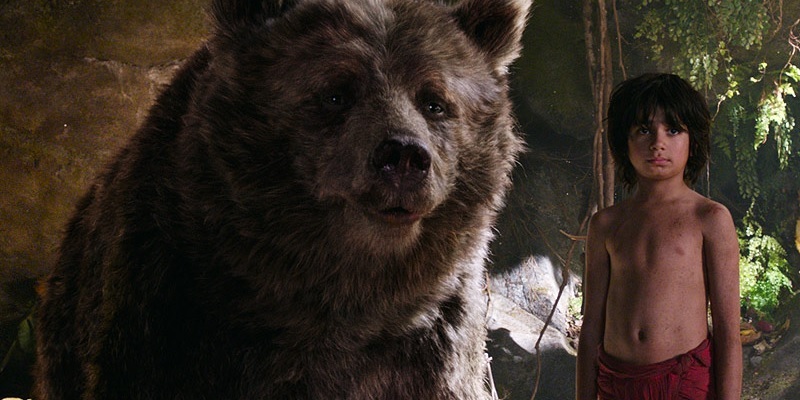 However, the voice cast is the truly outstanding merit - major stars including Bill Murray, Ben Kingsley, Idris Elba, and Christopher Walken bring to life some of the most beloved characters from the original tale, with Murray as Baloo particularly standing out as one of the best performances in the film - not just because of his jubilant voice work, but also the characters loveable nature and beautiful comedic timing. Kingsley also captures the wise and proud essence of Bagheera flawlessly, thankfully not making him too silly as he was in the 1967 animated original, which perhaps wouldn't have fit in too well with this modern update; and, of course, Elba as Shere Kahn and Walken as King Louie shine as memorable villains, even if the latters role is somewhat brief. Elba is especially threatening in the role of Shere Kahn, which is far more expansive than it was in the original, making him more complex a villain - and a genuinely terrifying one in certain scenes. A controversial casting choice was Scarlett Johansson as Kaa, and while I myself was never won over even when the trailers launched, her voice work in the finished product is surprisingly well done, even if Kaa's role is disappointingly short compared to his animated original. Johansson's cover of the renowned Trust in Me, playing in the closing credits, is equally as surprising, given that it's both beautiful and seductive, capturing a new tone for the character in a way that suits this modern retelling; but again, it's a shame that her talent could only be shown in a very brief scenario. But of course, one also can't ignore the song we all awaited eagerly for - Murray himself effortlessly sings Bear Necessities with the same energy and vibrancy that Phil Harris did in the original, and Walken's cover of King Louise's I Wanna Be Like You may seem a but sluggish at first, but quickly becomes just as likeable as the original by Louis Prima. From a story perspective, when it comes to development and pacing, The Jungle Book is equally as engrossing; it has moments of comedy, moments of drama, moments of genuine thrills, and tons of new surprises that make it more than a predictable rehash of the original, with the only real flaw being an occasional lack of focus on certain characters, as there are rare instances where some seem pushed to one side with no focus on what exactly happened to them until an uncertain amount of time later. But alas, finding flaws is a tricky task, for director Jon Favreau and the rest of the crew have done an amazing job in reinvigorating the tale with new blood and fresh ideas, creating another superb example of how Disney is truly getting the hang of these live action updates these days.